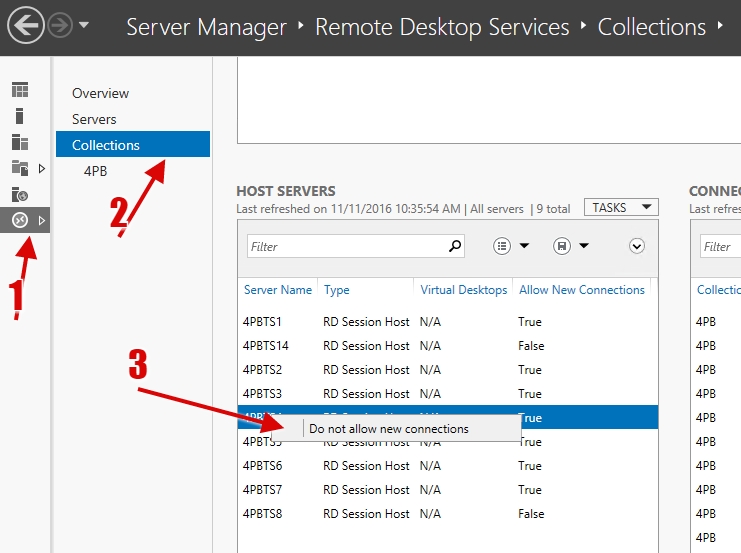 Learn how to allow or disable end user logins from Server Manager. 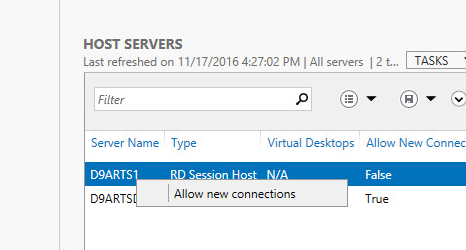 There may be situations when you need to disable logins to a server or enable them for a new server. Follow the below steps to Enable /disable logins t oa server. No users will be now allowed to login to the server. 3. To re-enable the new connections, right click on the server again and select Allow connections. Put first 3 letters of the server name and hit Find Now, then highlight all the servers displayed and add them with the arrow to the right side of the window. 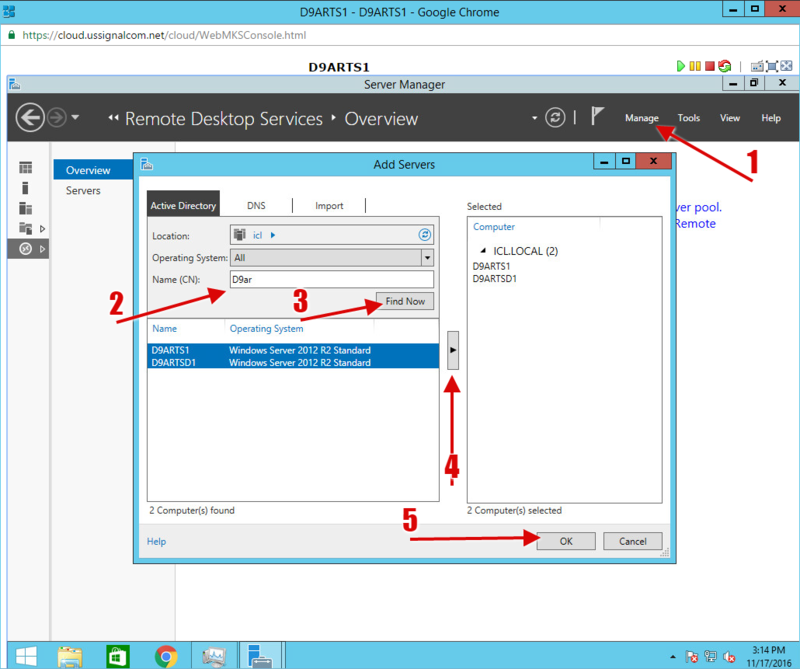 Hit OK and go back to the Remote Desktop Services to refresh the view. Servers should be now available in Collections and you can follow the instructions above.